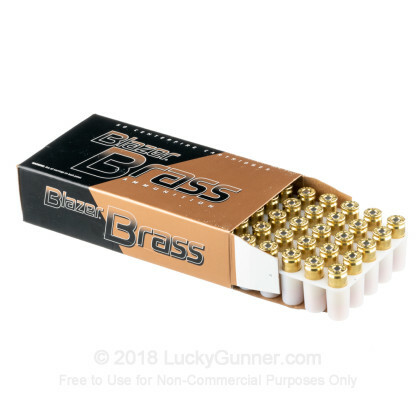 Blazer’s aluminum cased ammunition is very nice, with its low price and lesser weight prominently displayed on its list of merits. What aluminum can not do for its owner, however, is let them handload. 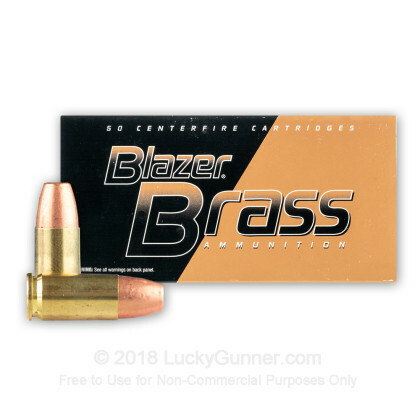 If you would never pass on an opportunity to enjoy your reloading bench but favor Blazer’s performance, then this brass cased 9mm round is just the ticket for you. It features a sure-fire CCI Boxer primer and clean burning propellant as well. 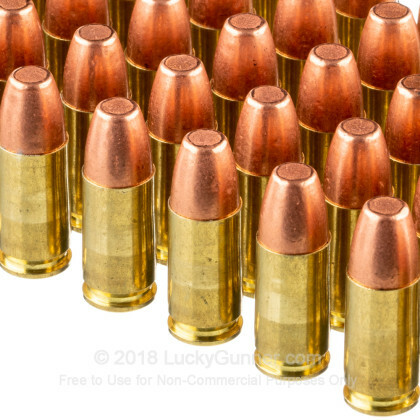 This cartridge sports a 147 grain projectile, the heaviest bullet that is commonly commercially available in its caliber. What it is great at is assuring that your pistol consistently achieves a subsonic muzzle velocity during your time at the range. 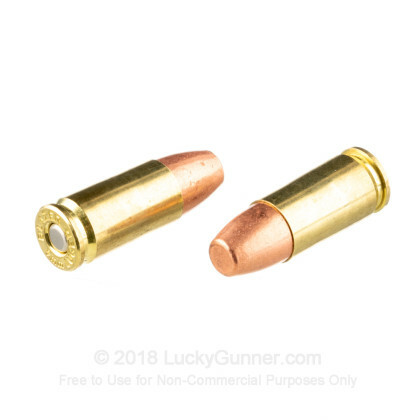 This bullet’s full metal jacket prevents lead fouling and assures positive functioning in a semi-automatic. Its base is further protected as well, so the lead in its core will be spared from becoming evaporated by hot propellant gasses, making for a cleaner and safer shooting environment! Ordered Friday afternoon, and received on Tuesday morning. As with my last order, everything was awesome. 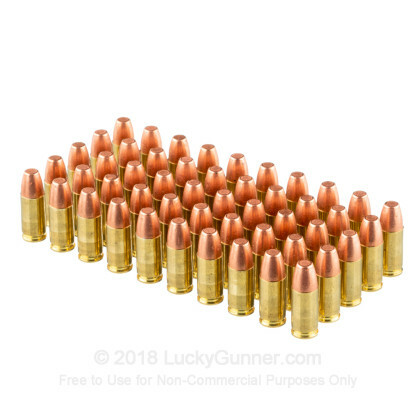 You guys did a great job packaging 1600 rounds of ammo(I bought more than just the rounds I'm reviewing). Keep up the great work! 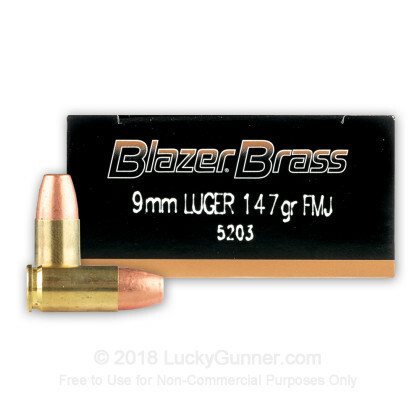 We also have this 9mm - 147 Grain FMJ - Blazer Brass - 50 Rounds ammo in stock in a smaller quantity.